Smart lamp provides early, automatic deceleration indication. Stoptix is the first AUTOMATIC brake lamp. Stoptix* is the only automatic brake light that requires no modifications to your motorcycle or vehicle wiring because it is the first product to offer a deceleration indicator solution inside the lamp, self-powered and self-illuminating. Simply swap your bulb for our smart lamp. Stoptix increases visibility via early deceleration indication and reduces your chances of being rear-ended. Indicating deceleration one second earlier at 55 mph is 80 feet of additional stopping distance for following vehicles. Motorcycles: You don't have to remember to squeeze the brake lever when you downshift or rapidly slow down under engine braking. It also works great for when your bike runs out of fuel, suddenly slowing the bike until you switch over to the reserve tank. Passenger Cars: Reduce your chances of being rear-ended and the possibility of your passengers being injured or worse. Stoptix lamps are a small cost to pay for this level of increased safety. Cargo and Fleet: Reduce your companies exposure, especially when self-insured, by reducing the chance of the truck or fleet vehicle being rear-ended. Cut your bottom line costs by reducing your exposure and liability with this very cost effective product. Reduce the down time your business suffers while the vehicle is being repaired. Reduce the likelihood of your cargo being damaged. Builders & Collectors: You need to protect your investment by installing Stoptix lamps. The last thing you need is to ruin months or years of work by being rear-ended. Racing: Stoptix bulbs give racers the edge they need to alert others on track when the vehicle slows suddenly due to mechanical malfunctions as well as simple down shifting. Precious milliseconds count in racing where closing speeds can exceed 100 mph. Stoptix bulbs are especially valuable in the vintage race cars where the desire to avoid contact is even higher due to the value of the cars being raced. Stoptix bulbs should be the standard in every race series. They’re standard in all of our race cars. Check fitment guide below before ordering. Testing Stoptix Automatic Brake Lamp at Inde Motorsports Ranch in Wilcox, AZ. We spent the day at the track testing the performance of our automatic brake light and also tuning a race version that has a more sensitive g-force threshold. 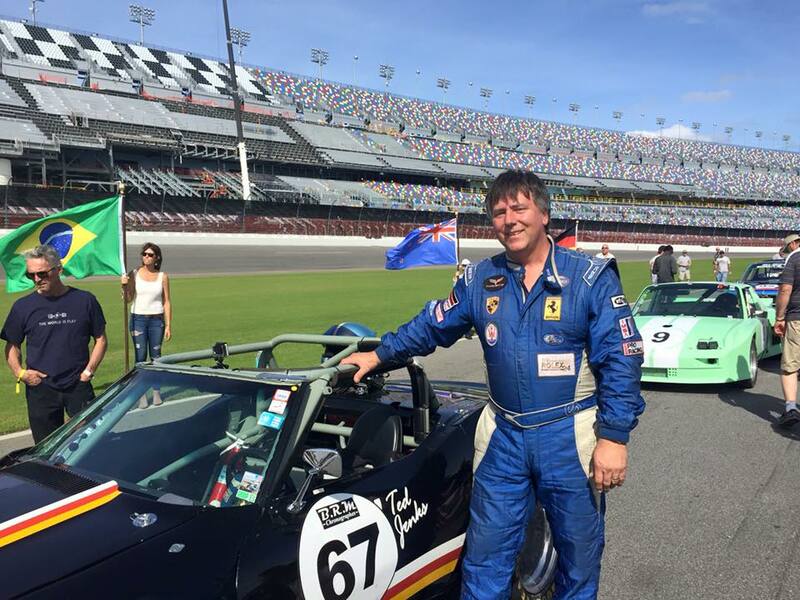 We recommend the race version for vintage motorcycles and vintage exotic race cars. Our products can be purchased from our webstore, from AeroStich. and from Amazon.com. The details below better describe Stoptix lamp fitment for motorcycles that are not listed in our Check Motorcycle Fitment tool. Is your bulb facing rearward? Stoptix lamps must face rearward for proper operation. This means that the bulb socket must be parallel with the roadway. Sockets pointing upward, such as some motorcycles and some trailer lights, will not be able to illuminate on measured deceleration and will remain in brake mode indefinitely due to measuring 1g, or earth's gravity, which far exceeds our programmed g-force threshold for the lamp. Facing rearward with socket parallel to the roadway is the required orientation for proper operation. Stoptix lamps cannot operate properly in this orientation or any other orientation in which the bulb socket is not parallel with the roadway. Is your bulb rear loading? If your bulb is an 1157 (12 Volt) or an 1154 (6 Volt) type and not rear-loading then the Stoptix lamp should fit. Our products do not replace rear-loading 1157 and 1156 lamps because our lamp diameter exceeds one inch which is the diameter of the opening in the light housing. Stoptix lamps diameter is too large to fit through this one inch diameter opening. We used motorcycle part databases to check fitment in over 2,500 year-make-model combinations. Please check our Fitment Lookup online at [link will be posted in late June 2018]. If you do not see your motorcycle listed, or if you are not sure about fitment in your passenger vehicle, truck, or trailer, please order the fit check tool from our webstore. You can check fitment with this soft styrene tool that is a cross-section of our lamp. This will not scratch the light reflector. It installs fully in the socket to confirm clearance before ordering our lamps. Will it accommodate any bulb socket orientation? Stoptix lamps have been tested in the Harley-Davidson HDLAN (CAN Bus) system confirming that the bike can "learn" the Stoptix lamp in 5 minutes or less with the hazard lights on, even with incandescent lamps installed in the front of the bike. Does it require a load resistor to work with my turn signals? We all know the trouble that an LED conversion can pose when it comes to getting the turn signals to work properly. You either need all incandescent with a thermal flasher, all LED with a digital flasher, or an LED with the load resistor built-in. Our Stoptix lamps actually pull the same current as the incandescent bulb. We certainly do not need all this power to turn on the LED but we do use the excess power to recharge our on-board energy storage (capacitors). The power source is not a battery but a capacitor instead which allows for rapid charging. The on-board energy lasts 2 hours between recharges and still has enough energy to illuminate the LED. We call this the freeway case in which you may have travelled for an extended time without applying the brakes. Recharging the energy storage occurs in just under 3 seconds and occurs automatically every time you apply the brakes. It will also recharge using the tail/running lamp power. We offer the programmable feature in every Stoptix 1157 and 1156 lamp so you can tune the g-force setting to the desired value. You will also be able to adjust the g-force setting again if you move the Stoptix lamps from one vehicle to another. Why is the lens not red? We use an optical diffuser instead of a lens. This not only spreads the light to 140 degrees output but it also homogenizes the light so it appears to be uniformly lit across the entire face of the light. Our light is opaque off-white when off and uniformly red when on. Emitting white light is wasteful when only red light gets through the vehicle’s red lens. Emitting only red light means no energy is wasted and our lamp can operate for a longer time. Will the Stoptix lamp illuminate the license plate? License plate illumination is not presently available in the Stoptix 1157 lamp because the light is directional. Incandescent bulbs are omnidirectional. Will Stoptix lamps work with a positive ground electrical system? No, the Stoptix lamp circuit requires a negative ground electrical system. The circuit is protected for reverse polarity but will not operate in positive ground systems. 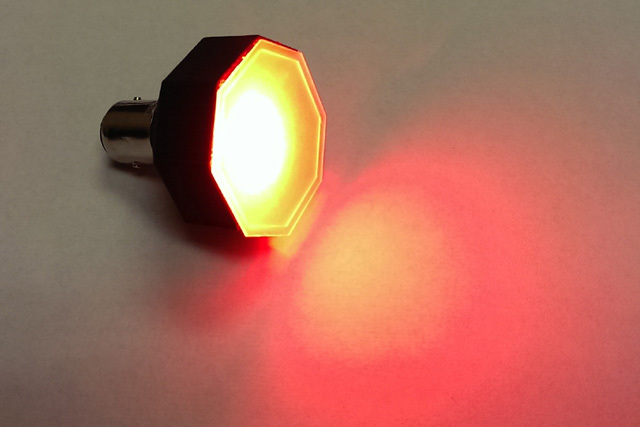 Will Stoptix lamps work with a tail light that is Pulse Width Modula (PWM'd)? 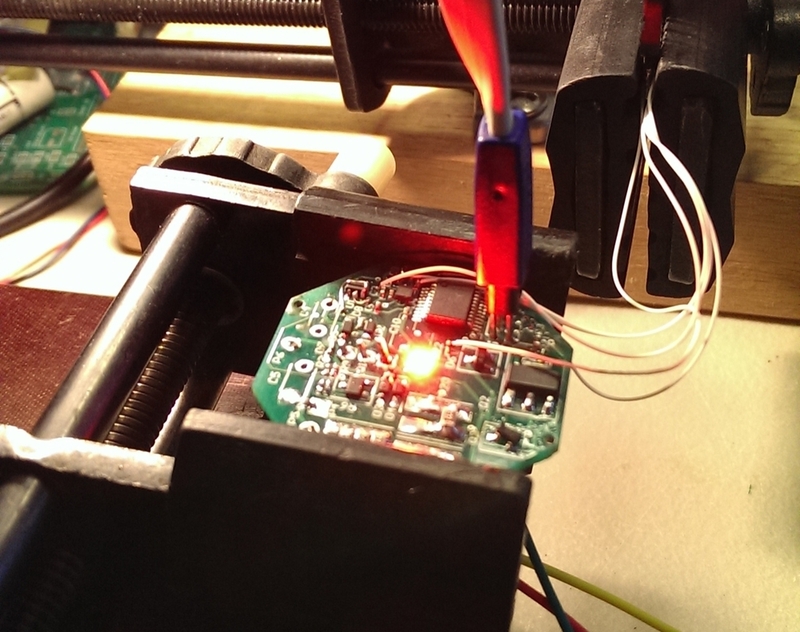 No, the Stoptix lamp trigger algorithm cannot work with a pulsed tail light signal. Note that some makes and years, BMW specifically, dim the brake light by PWM to tail light brightness. Jeff Hammock, Founder of MechOptix, tells how he came up with the idea for the Stoptix Automatic Brake Lamp then demonstrates the product. We showed the Stoptix automatic brake lamp to riders at the end of the Trail of Tears Ride. We took no longer than 30 seconds introducing and demonstrating Stoptix. These interviews were unscripted and shot in a single take.